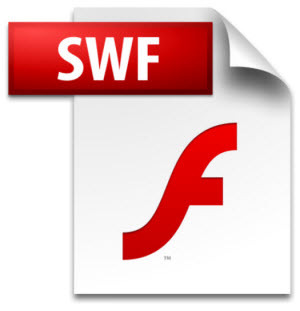 SWF (originally an abbreviation for "ShockWave Flash" this was changed to the backronym "small web format" to eliminate confusion with Shockwave, from which it was derived from) is a file format for multimedia, vector graphics and ActionScript in the Adobe Flash environment. Originating with FutureWave Software, then transferred to Macromedia, and then coming under the control of Adobe, SWF files can contain animations or applets of varying degrees of interactivity and function. Currently, SWF functions as the dominant format for displaying "animated" vector graphics on the Web. It may also be used for programs, commonly browser games, using ActionScript. SWF files can be generated from within several Adobe products: Flash, Flash Builder (an IDE), as well as through MXMLC, a command line application compiler which is part of the freely available Flex SDK. Other than Adobe products, SWFs can be built with open source Motion-Twin ActionScript 2 Compiler (MTASC), the open source Ming library, the free software suite SWFTools, the proprietary SWiSH Max2. There are also various third party programs that can produce files in this format, such as Multimedia Fusion 2, Captivate, or SWiSH Max. Early SWF format was praised because it created compact animations that were fast loading. Now, SWF files can incorporate sound and video and even bitmap files. A major advantage of SWF format is that it is vector based. This means that the graphics can be scaled easily, so they can be zoomed in or be fit onto different size screens, and the file will still look very clear and play very smooth (unlike bitmap animation). Other advantages of SWF format includes fast loading, easy and smooth compression (like PNG format), and it also supports transparencies (like PNG and GIF). With all the formats though comes their disadvantage. There are not many with SWF but a major one is compatibility. One can not play a video in SWF format unless it has Macromedia Flash installed on the computer. Since we have known SWF is popular and can give us a lot, so it is necessary for us to know how to get this popular video format, here I can recommend a good related video converter for you to get this popular video format, it is SWF Video Converter Factory Pro, is just designed for SWF video format, it is easy, powerful, fast and reliable, with it, you can easily get the popular video format SWF, you can also use it to convert SWF to other popular video format that you need, what's more, it also support converting audio format, you can use it to get the popular audio format when you need. With SWF Video Converter Factory Pro, how to get SWF will be not a problem. Convert Video to SWF - Just Make the Change. Free SWF Video Converter Makes You Wandering in the Animation World. 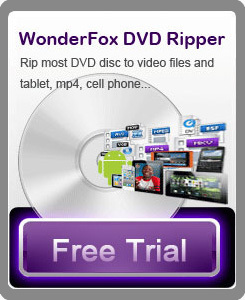 Free Flash Video Software Tells You How to Become Popular.